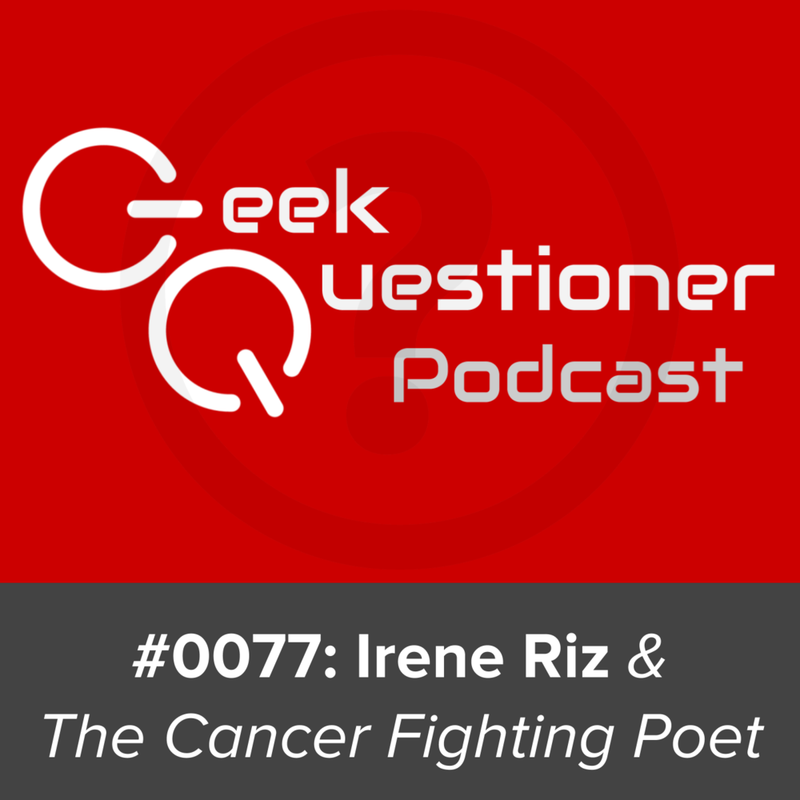 This week we interview poet, photographer & cancer researcher, Irene Riz from her home office near Washington D.C. We discuss her fascinating day job, her childhood in Moscow, her insatiable thirst for knowledge, and so much more! Following the interview, we discuss your answers to the week's questions. We start with catching up on your reading then move on to learning what pop songs you thing fictional characters love, how you stumbled across my GQOTD posts, the crazy places you put stingers, what fictional humans you'd hang out with, the animated characters you relate to, and a lot more! Join my co-host Lee Roche and I for our latest shenanigans and if you like it, please subscribe and feel free to comment below! Oh and sign up if you want to be a guest!